Jonathan Nicholls is a highly appraised, experienced guide (38 years) and author of the acclaimed, ‘Cheerful Sacrifice: The Battle of Arras 1917’. 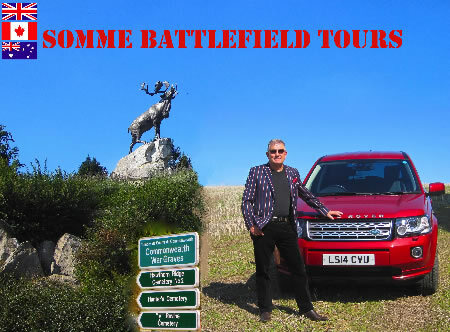 He has been visiting and guiding tours to the Somme Battlefields since 1978, taking veteran soldiers of that terrible conflict on personal tours to their old action spots. The veterans have now faded away but he still relates their colourful stories of life in the British Army in 1914-18. He now plans and researches battlefield tours for families, organizations and professional travel companies. Jon is in continuous demand as an independent and vastly knowledgeable guide with personality. In 2014 – 2015 Jon conducted private battlefield tours for Travel Editions (The Daily Telegraph & Guardian Newspaper Battlefield Tours) Battle Honours, The War Research Society and the Metropolitan Police. It is not everyone’s ‘cup of tea’ to travel to the battlefields in a large coach with 50 other strangers. The alternative is a comfortable, tailor-made journey in the comfort of an air-conditioned 4x4 Landover (up to 4 persons & essential during the winter months) or a comfortable mini bus (up to 12 persons). Jon can also undertake personal research into your soldier relative and take you to the place where they fell and now lie. This opportunity is not always available on a larger commercial tour, which understandably, concentrates and funnels its passengers to the popular spots such as the Thiepval Memorial and the Newfoundland Memorial Park. It is virtually impossible for a travel coach to access some of the more remote Somme cemeteries, (and there are many!) especially during the winter months. Jon can pick you up and return you to your door (London & Home Counties) or simply meet you in France at Arras, Albert or Amiens, the three principal towns for visiting the Somme battlefields. This can easily be done by an early departure from the UK (7am) by Eurotunnel and return by 7pm at night. The Somme is a 90-minute drive from Calais. Pleasant picnic lunches can be organised or a more substantial lunch at a local restaurant or café. For 1- 6 nights these can be arranged at a discount rate in the lovely town of Arras which, with its many restaurants and bars, is by far the best place to stay. Prices vary depending on the hotel. The Battle of the Somme started for Britain on 1st July 1916 when a volunteer British Army attacked the German Lines on a 14-mile front in the region of the Somme. Over reliance on artillery support led to almost 60,000 British casualties on the first day. The ‘long procession of suffering & cruelty’ finally ground to a halt in mid-November 1916. It had cost the British Army over 400,000 casualties for an advance of 6 miles. The real tragedy of the Somme was that it was fought by an enthusiastic army of volunteers from all corners of the Commonwealth. German casualties were roughly the same. In spite of the terrible cost it was not in vain. Before the Somme the German Army had every chance of winning the war. At the end of the battle that chance had dwindled. The Australian, New Zealand and Canadian forces fought gallantly on the Somme. Their casualties were huge and visiting their substantial cemeteries is a very moving experience. 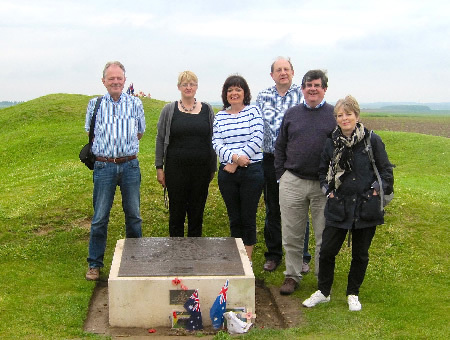 Jon has taken many Australian and Canadian Pilgrims to the Somme battlefields in recent months. Jon is well known for his expertise on the Arras battlefields. 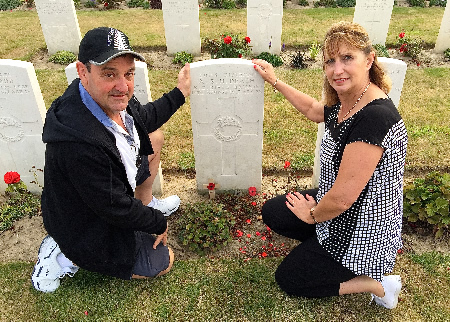 To find out more about him please visit Arras Battlefield Tours (testimonials). 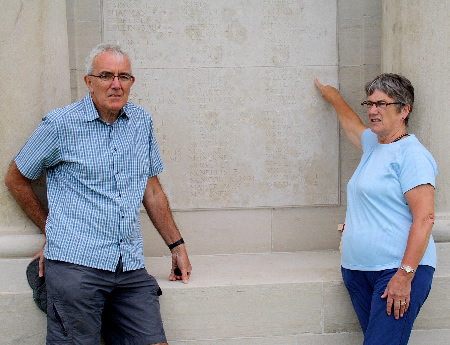 He has also been guiding tours to the Ypres Salient since 1980. He is fully committed in August/September/October 2015 for the Centenary of the Battle of Loos. In October he is conducting two tours to the ancient battlefield of Agincourt. All aspects and areas of the Old Western Front (Mons/Loos/Ypres/Verdun/Arras/Cambrai & ‘The Last 100 Days’ are covered. Bookings for tours of the Somme Battlefields in 2016 are now being taken. 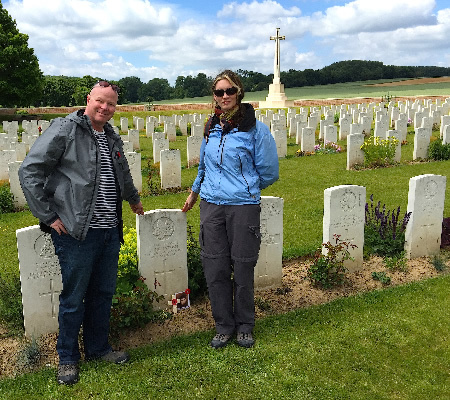 “What made this trip was the Tour Guide, Jonathan Nicholls and his wealth of knowledge, being a military historian myself, I know the years of research required to make him into an ‘expert’ on WW1 battlefields/Cemeteries. These reviews and many more, can be seen on the Travel Editions website.